Now that my Greek and Italian forces for WW2 are done (10mm Pithead Miniatures), I decided to sit down and run a solo game so I could grasp the basic rules. 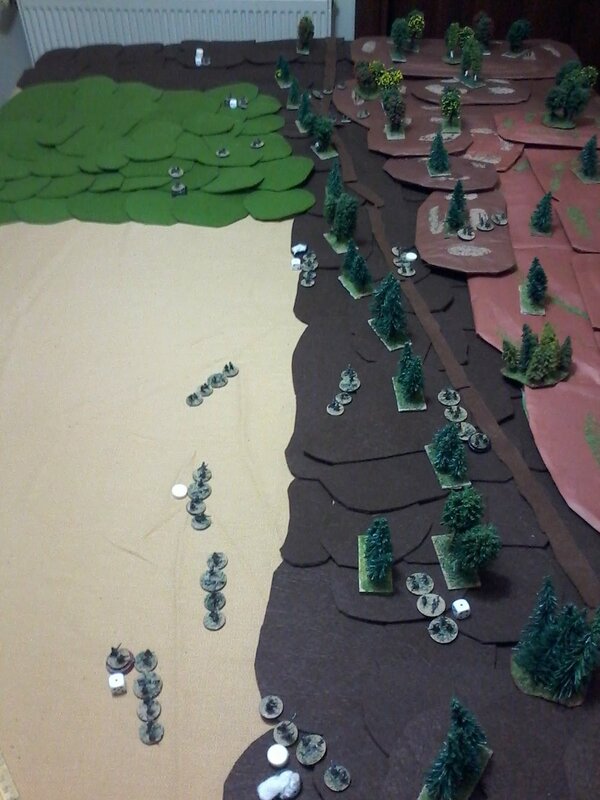 This was also a play-test for the scenario I am writing, which is based on the Action at Molista, during the Battle of Pindus on 28-30 October 1940. 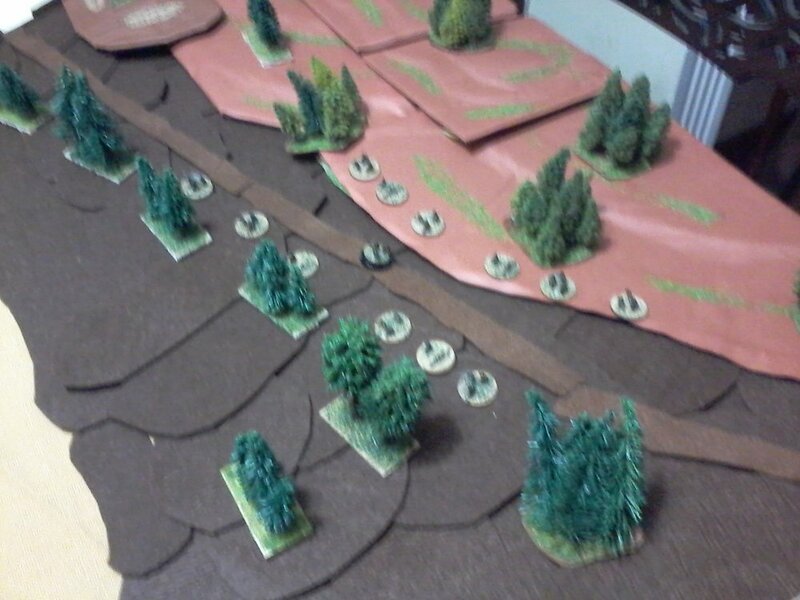 The scenario focuses on the attempt of the 2nd Battalion "Aquila" of the 9th Alpini Regiment of the 3rd Alpini Division “Giulia” to outflank the strong defence of the Molista village by two companies of Battalion I of the 51st Infantry Regiment of the Davakis Detachment. Historically "Aquila" was able to outflank the Greek forces and drive deep into the Greek positions, before Greek reinforcements counterattacked and drove them back. Scenario-wise, I gave the Greeks a platoon of Poor Regulars with two MMGs in support. The Italians were given a Good Regular Company of three platoons (one HQ Platoon and two regular platoon), plus three MMGs. Both the ground and weather made moving, spotting and hitting hard. To cut a long story short, the Italians were able to attain their objectives within the assigned time (as in history). A key moment was when one of the Italian platoons still under a Blind, took advantage of the weather conditions and was able to charge the Greek MMGs and overrun them. 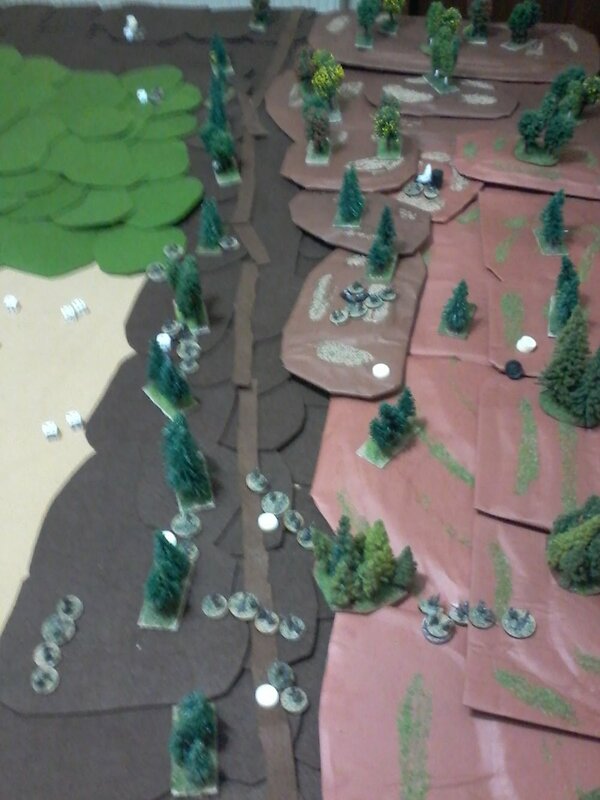 This made the Greek defence untenable, though the Greek infantry platoon held out to the end. The Greeks lost 32 men (killed, wounded, MIA, stragglers) and both MMGs, while the Italians suffered 20 casualties. In general grasping the basics of infantry combat was not too hard, though it took me a couple of turns to grasp that sections, as opposed to whole platoons activated to do things. I did not need to go back to the rule-book often as the QRS was very good, though I will need to print the Fire-fight table, and the Infantry Actions per Unit Strength table. The only major issue was deciding whether to use the table in the supplements or the one in the rulebook. Also I would had preferred some more guidance on how many Big Men to include in the forces. I did not use Aircraft, Artillery, or Vehicle rules, so I cannot say much about those mechanics.